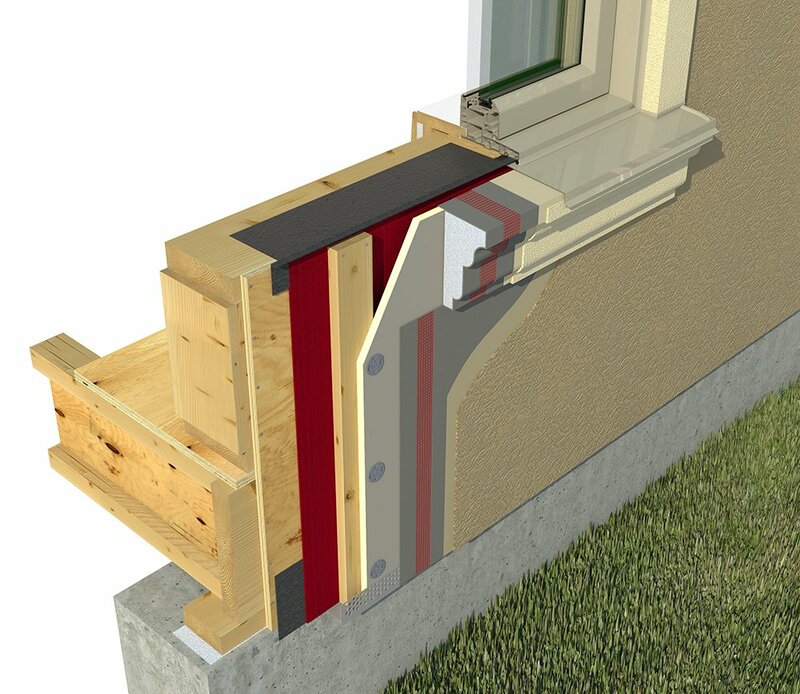 The ADEX-VLS system is a cavity wall assembly incorporating polyisocyanurate insulation/sheathing boards and a high-quality air/moisture membrane to protect the substrate. Insulation boards are mechanically fastened over furring strips and coated with a lamina, consisting of; an acrylic basecoat, glass fibre reinforced mesh, primer and a 100% acrylic finish coat. 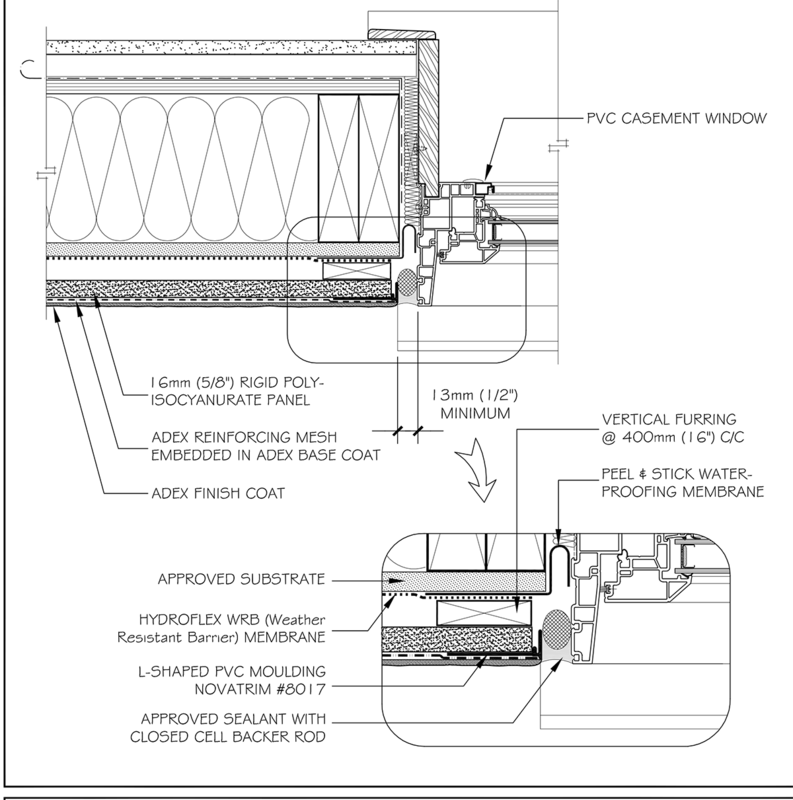 The system is designed around the rainscreen “cavity wall” principle that moves the finish system away from the substrate to create a drainage plane and air space to help manage moisture. This system is ideal for renovation because it can be installed on existing furrings. Seals the building envelope and ensures seamless protection of the substrate. Allows for the drainage and quick drying of incidental moisture. Polyisocyanurate board resists damage from impact and moisture.